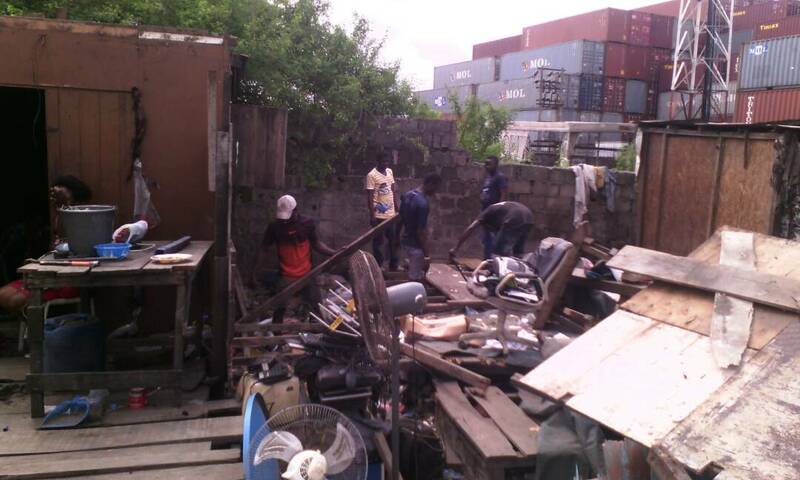 A government-community policy dialogue that SPACES FOR CHANGE brokered between the Nigerian Railway Corporation and Ijora-Badia residents have averted another round of evictions in the community. Ijora Badia has been the theater of repeated demolitions, forced evictions of historic proportions, which have resulted in significant disruption of social and economic activities. When officials of the Nigeria Railway Company (NRC) stormed the community again on March 10, 2017 and April 19, 2017 respectively to mark their houses in red, they knew what those familiar signs meant: demolitions and mass displacements looms again. It is commonplace for the urban poor to wake up one morning and see their houses marked in red! This is a sign that the bulldozers are coming. But this time around, their individual and collective response to the demolition threats was different. NRC claims that the land on which Badia residents live is on the right of way for the 156.65 kilometre rail-line expansion project aimed at delivering a fast and efficient rail service system between Lagos and Ibadan. Vice President Yemi Osinbajo commissioned the project in March 2017, while the contract has been awarded to the China Railway Construction Corporation (CRCC), an affiliate of the China Civil Engineering Construction Corporation (CCECC). Simultaneously, the Federal Government has also granted approval to the Lagos State Government’s request for the Right of Way for the Red Line, a light rail initiative. This means that both the federal and state governments’ joint requirement for land for the rail line and light rail projects running through the Badia area would require residents to push back as much as 1.2 – 1-8meters respectively. Immediately Badia residents sighted the NRC officials marking their houses on April 19, they contacted their legal representatives: SPACES FOR CHANGE, urging them to intervene both legally and extra-legally. Swinging into action, SPACES FOR CHANGE petitioned the NRC the following day, April 20, 2017, demanding a stop-order directive on further evictions in any part of Badia until a mutual resolution is reached and adopted by all the parties. Backing up the petition with strident advocacy on behalf of the affected populations, SPACES FOR CHANGE met with and engaged the NRC authorities, specifically the Zonal Manager and the senior directors in charge of demolition, enforcement and civil relations, exploring all possible alternatives to the planned eviction. Demanding a stop-order directive topped the list of the organization’s demands. This is to allow the Nigerian Railway Company to engage meaningfully with the potentially-affected persons in the community. Such consultations are necessary to make inclusive determinations around alternative accommodation, humanitarian assistance, and transition to healthier lives. Not only that, the rainy season is around the corner. Evicting large numbers of families, predominantly comprising of women and children will bring about untold hardship, mass suffering, and worsen their vulnerability to social, public health and environmental hazards. Finally, notices as short as 40 days are inadequate for large numbers of households to make alternative housing arrangements, especially in light of the crippling economic conditions in the country. NRC argued that the rail line expansion project runs through several communities in Lagos, and therefore does not specifically target Badia community. Although this claim is true, there are ample reasons why Badia residents merit a favourable consideration of their demands. A number of residents benefited from a compensatory exchange of land following the Federal government’s compulsory land acquisition to build the National Theatre in 1973. Consistent with the diversity of landholdings in Badia, several residents in Badia have in the past, paid rent to the Nigeria Railway Corporation and built block structures with the approval of Railway Property Co. Ltd. Some paid Temporary Occupation License Fees to the Economic Department at the Lagos State Governor’s Office and the Ministry of Works and Planning (Lands Division). Recognizing their stay on the land, the Federal Government of Nigeria, through the Ministry of Housing and Urban Development initiated the Badia East Urban Renewal Programme in 2004. The said federal ministry has regularly consulted local residents, including the evictees, in stakeholders’ meetings and discussions pertaining to the development and sustainability of Badia communities since 2004. 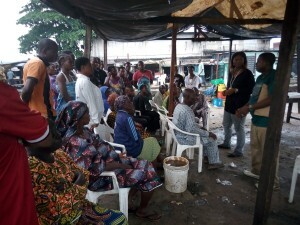 In 2013, the Federal Ministry of Housing and Urban Development, with the cooperation of the residents, including the evictees, conducted a house ownership survey to take stock of all the occupiers and structures in Badia. These events evincing historical dealings and cordial relationship between Badia and the NRC elucidate why Badia residents should not be treated so inhumanely. Constructive dialogue between SPACES FOR CHANGE, NRC authorities and Badia-East community representatives led to a mutual resolution to suspend the demolitions by some weeks. The push-back on scheduled demolitions not only enabled residents to make alternative dwelling arrangements, but also, reduces the risk of using of brute force and violence to evict people, preventing property losses. In addition, another round of protracted litigation was circumvented. There is currently a subsisting lawsuit at the Federal High Court in which NRC is one of the Defendants. The matter, filed by Spaces for Change, on behalf of the evictees, is challenging the September 18, 2015 demolitions, the due processes breaches and human rights violations that characterized the exercise. The law courts have the power to stop demolitions, but state authorities hardly obey court orders, while evictions are carried out without recourse to statutory safeguards. Palpable fear, apprehension that gripped residents melted into sighs of relief when residents learnt that the bulldozers weren’t coming so soon as scheduled. NRC’s stop-order directive comes at a time planning authorities demolish informal settlements with impunity, and with total disdain for elementary considerations of humanity. Neighbouring communities like Otodo-gbame, Illubirin, Makoko, Oshodi, have all been razed or flattened without as much as a warning. The meeting SPACES FOR CHANGE’s brokered between NRC authorities and Badia representatives demonstrate to the government that the urban poor qualify for participation and consultation in state and national programmes. It further demonstrates how information, debate and consultation could enhance collaborative problem-solving between state and citizens. By so doing, affected communities become aware of planning intentions and investment projects and have a chance to voice out their reservations, as well as proffer localized solutions to those concerns. Addressing a large gathering of the community immediately after securing the stop-order directive, SPACES FOR CHANGE’s executive director, Victoria Ohaeri described the outcome as an interim intervention that contributes to household and communal stability. She assured that SPACES FOR CHANGE’s strategic advocacy and legal support to Badia residents which has been crucial in significantly reducing the scale and intensity of evictions in the area will continue. As of April 27, Badia residents had voluntarily removed their structures and properties from the areas designated for the rail line, and rebuilt alternative ones outside of the marked zones. The push-back on scheduled demolitions gave residents more time to rebuild alternative homes. The alternative makeshift homes are not nice-looking, but can shelter children, women and men from the sun, cold, and rain. In those new structures, Moving to the new location offers no tenure security, they can now cover their heads in a place they can call “home”, shielding them from the many risks associated with homelessness. After many years of withstanding complex shocks, residents of Ijora-Badia community in Lagos are becoming more resilient, increasing their determination to remain in the city, no matter the chronic stress that they experience. How Badia residents will fare over the long run will depend on the joint efforts of the federal and state governments and civil society. The search for comprehensive solutions continues. 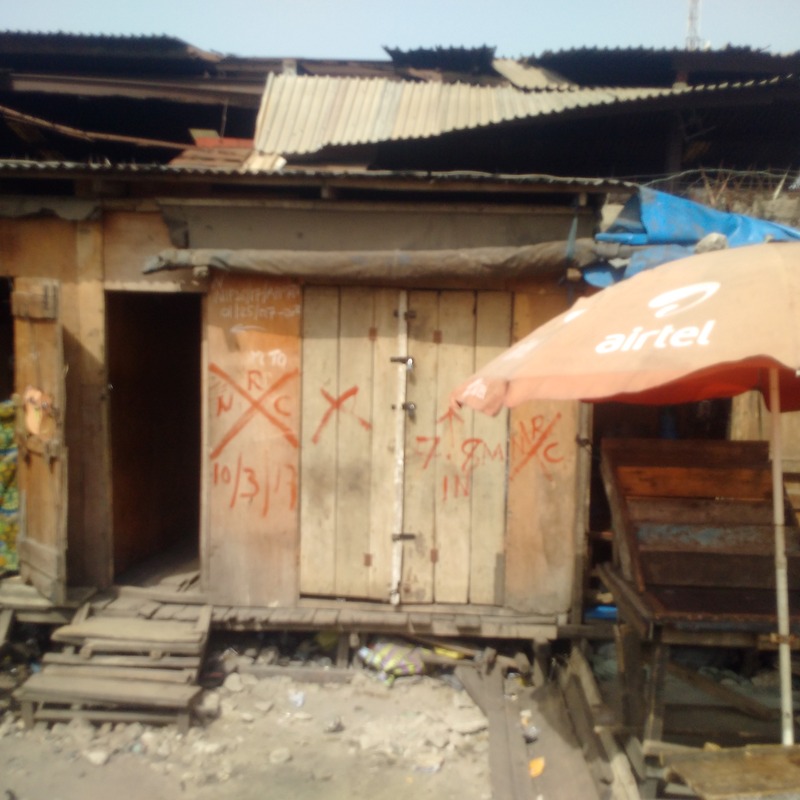 PreviousPrevious post:Understanding the idea of affordable housingNextNext post:The Demolition of Otodo-gbame Community is Illegal and Must Stop!